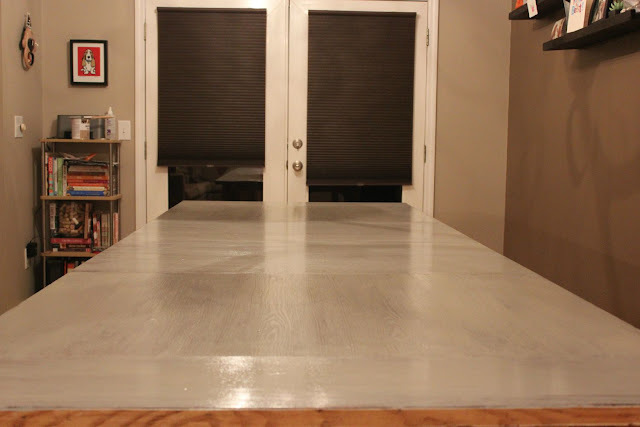 I teased you guys on Monday with our easy peasy DIY table redo. Well here it is...I am telling you, SO easy. 1. I cleaned the table well and laid down drop cloths to catch the sanding dust. 2. On to sanding. Our new table has two leaves and is very large and I was able to sand the whole thing in about 15 minutes. 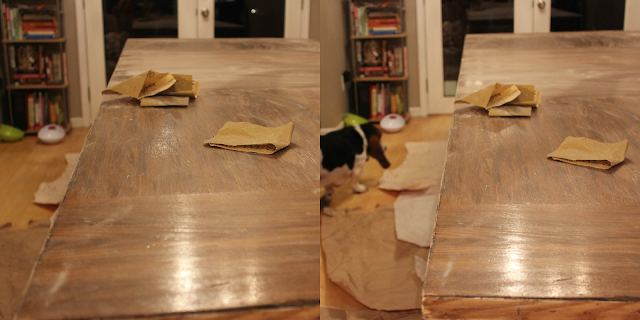 The leaves are not staying in the table at all times, but I wanted to make sure they were stained at the same time. I did not have intentions of doing a super, deep sanding job or want to take an entire layer of the original stain off. 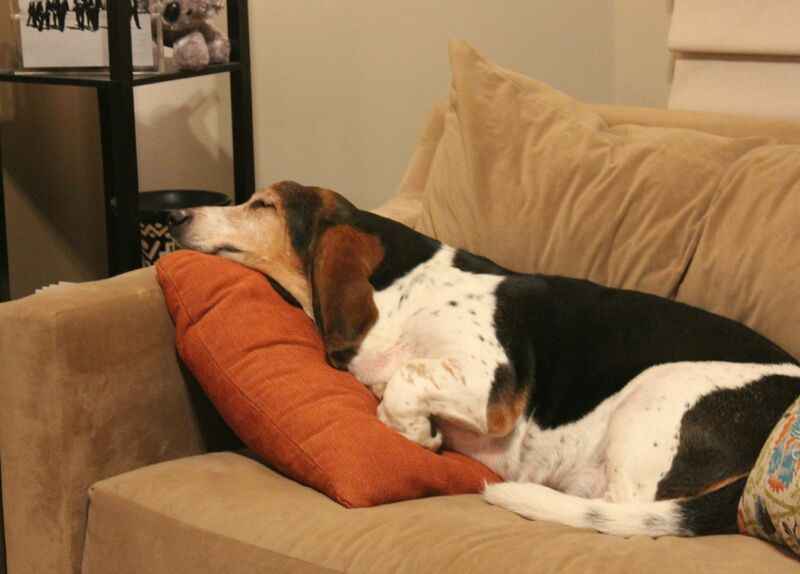 I did want to scuff up the table and give the stain something to adhere to. 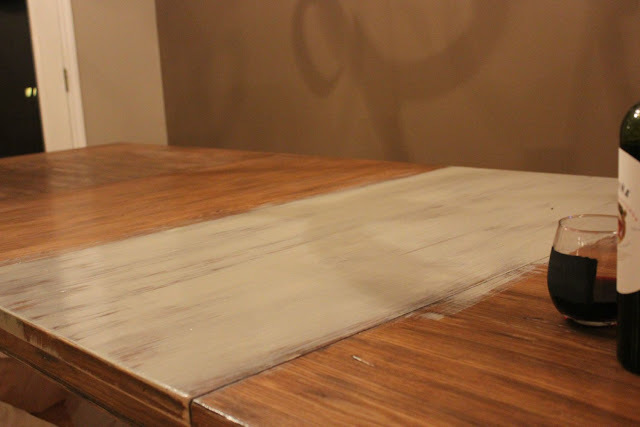 Obviously a more intense sand paper and more time would result in a deeper sanding. 3. 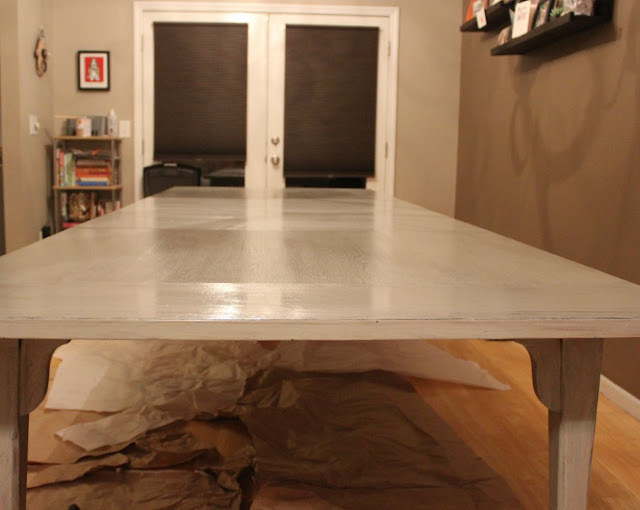 After sanding, I wiped the table down with a wet and then dry cloth to get all of the excess dust off all areas. Make sure you are getting into all the nooks and cranies, the legs and the apron. 4. Stain! 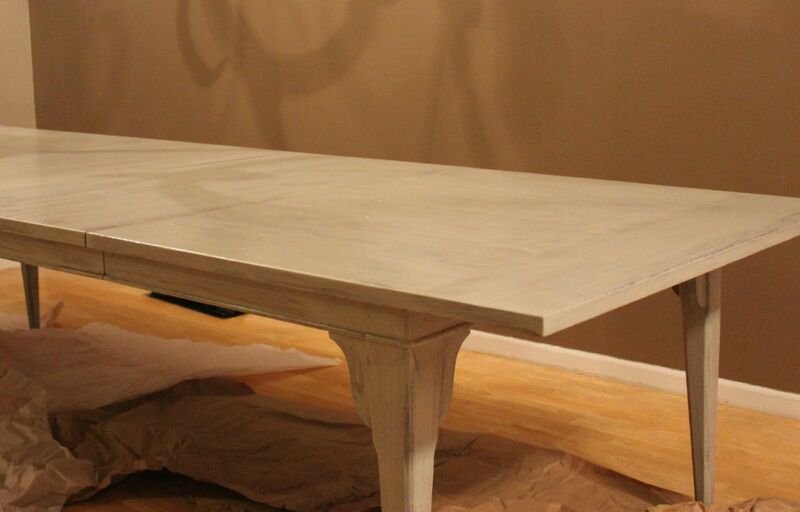 I did not want the stain to be a thick, full coverage job, I wanted some of the original stain to show through. I put a decent amount of stain on the brush and spread it out over a large area. I made sure that my brush strokes were as long as they can be and were all going the same direction (and as the same direction of the wood). 5. Let it dry. The can says it dries in about an hour but ours was still tacky the next morning in a few areas. I did not full follow the directions to wipe the excess stain off once brushed on. I am guessing that is why it was still slightly tacky the next morning. We love it and I canNOT wait to put a Fall tablescape on it soon! 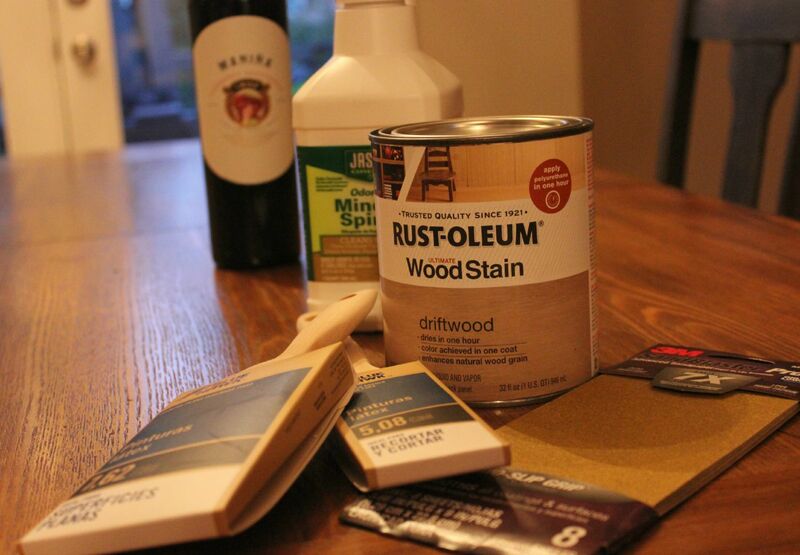 Ha, wine is part of all my DIYs these days too. Looks so great, and I can't wait to see it styled up with a fall tablescape!